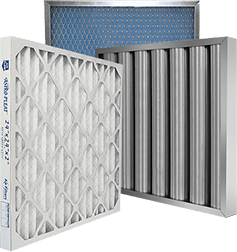 18x24x2 Astro-Pleat MERV 13 Standard Pleated High Capacity AC / Furnace Filter | Air Filters, Inc.
Air Filters Incorporated™ Astro-Pleat™ MERV 13 18x24x2 seasonal (Up to 3 Months) Expanded Metal Backing pleated air filter utilizes electrostatically charged, 100% synthetic media which offers significantly higher particulate efficiency than regular poly/cotton media pleated filters, with little change in static pressure. MERV 13 filter media will not promote the growth of bacteria, mold, mildew, or fungi in normal operating environments, and has not been chemically treated. 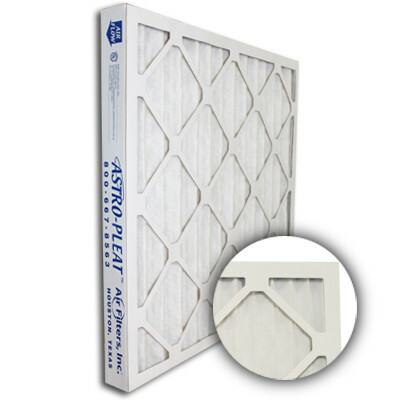 Astro-Pleat™ MERV 13 pleated filters are an ideal upgrade from standard disposable panel filters. 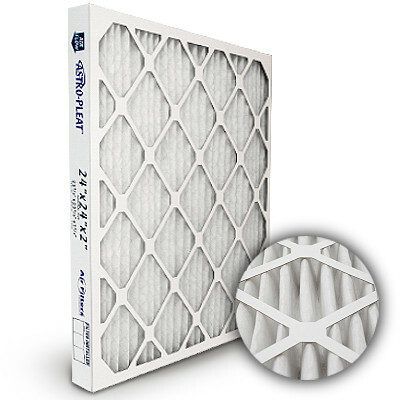 These filters are designed to last up to 3 months.